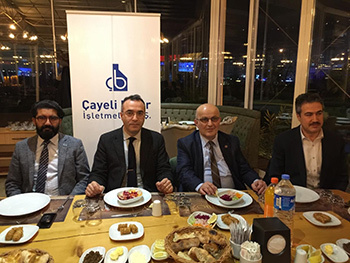 Çayeli Bakır, one of Turkey’s underground mining companies, hosted press members working in Rize at a dinner organized for January 10 Working Journalists Day. As in previous years Çayeli Bakır met with members of the press working in Rize again this year on January 10 Working Journalists Day. 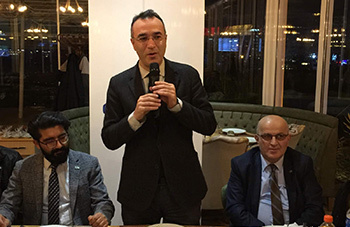 General Manager Murat Güreşçi and Çayeli Bakır Administrators were in attendance at the dinner with press members working in Rize organized by with Çayeli Bakır as the host. General Manager Murat Güreşçi, who expressed their happiness and excitement to be with press members on their special day, drew attention to the meaning of the day. Güreşçi said “From the past to the present the media has been a significant power that informs and guides our community and shapes our culture. This is why a strong and reliable media system has become an undeniable need”. Güreşçi, who underlined the importance of cooperating with the media, said “We as Çayeli Bakır have worked hand in hand with our friends in the press since our foundation to develop our region, and with your support we will continue to work on making our Rize stronger”. The journalists who attended the event were given jars of honey, for which the honey was produced by the Büyükdere Rural Development Cooperative founded by beekeepers operating in the scope of the Beekeeping Development Project sponsored by Çayeli Bakır; and the jars were hand crafted by women in the Glass Workshop Course also supported by Çayeli.